This Manual is the third in a series of readable, well illustrated handbooks about propagating and planting tropical trees. The five Manuals have been designed to provide clear and concise information on how to select, grow, plant and care for tropical trees, in both moist and drier parts of the tropics. They are intended for anyone interested in growing trees, from the small-holder to the large-scale grower, from local communities to national governments and from school and further education teachers to research and extension staff of agricultural and forestry departments. They provide illustrated, step-by-step instructions, practical guide-lines and an outline of the thought processes behind them. The procedures described in this series of Manuals may be used with the majority of woody species to provide diverse seedling or clonal mixtures. They include techniques for ‘domestication’, so that superior planting stock can increasingly be used. This can help to capture more rapidly the great potential for multiple usefulness offered by tropical trees, while also encouraging conservation of their genetic resources. do I need a tree nursery? what makes a good tree for planting? This Manual is the fourth in a series of readable, well illustrated handbooks for propagating and planting tropical trees. Manual 4 is concerned with the key choices that lie between propagation of good planting stock, and its planting and successful establishment. 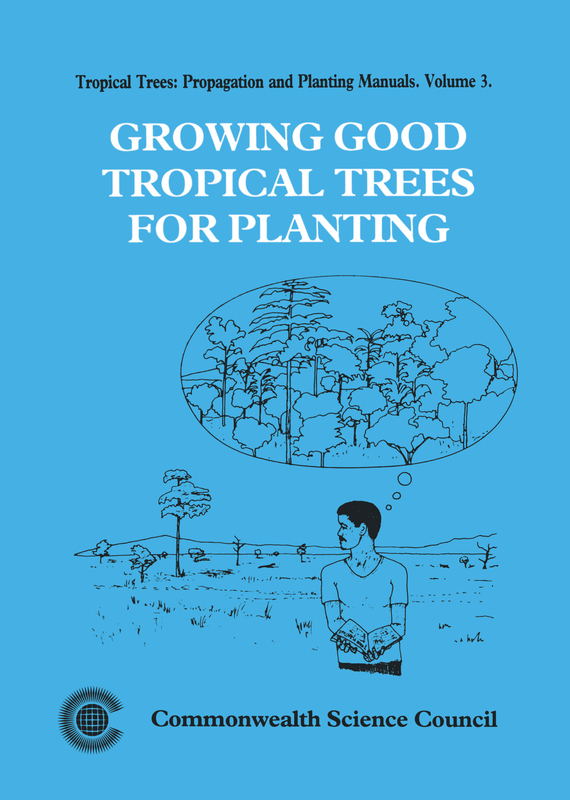 This book offers information on how to select, grow, plant and care for tropical trees. It is suitable for a small-holder and an experienced forester who are interested in growing trees in both humid and drier areas.